The Bath and Body works coupon page can’t help in making your home smell fresher, but the deals listed there might be able to help! Pick up two 3-wick candles of the scent of your choice for only $20. They just released their new Holiday collection and there are some interesting ones among the scents you can choose from so that your home can smell like a winter paradise for less! 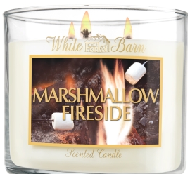 I don’t know about you, but I’m craving some Marshmallow Fireside! All of the candles are usually $19.50 each so you’re getting one for free with this deal. They even make a good stocking stuffer gift if you’ve been looking for something unique. Shipping varies per total amount of your order, so don’t forget to check.